It's one thing to say a movie uses music to boost the action, but Baby Driver is fueled by its soundtrack (both the movie, and the hero). Shifting director Edgar Wright's signature style from the genres of comedy, horror, and buddy-cop dramas to a petrol-head's dream of music and machinery working in tandem, Baby Driver is an instant hit where Wright's previous films are concerned. Yet for all the rave reviews and box office receipts... it's the Easter Eggs and inside jokes that the director's fan base has come to expect. This time around the references and homages have less to do with pop culture references or well-known imagery than usual, and more loving nods to the car movies that influenced Baby Driver throughout Hollywood history. There's still some fantastic callouts and cameos for Wright fans of all ages and genres, so we're breaking down down the ones that jumped out to us. Needless to say, there will be SPOILERS in our list of Baby Driver Easter Eggs & Music References. To include an extended, single-take shot focusing solely on the personality of Baby's everyday life fits director Edgar Wright's style perfectly, having famously used a similar approach to establish the monotony of Shaun of the Dead's hero... and then again to reveal the zombie apocalypse. But it's the use of music in Baby Driver's long take that sets it apart - and the direct inclusion of lyrics that clues audiences in on not just the role of music in Baby Driver, but the lines it will help blur between the film and its audience. It's one thing for nearly every musical sting in the film to be diegetic - heard by the audience because it is being played in the movie's fictional world at the same time - but we may need a new word for the "Harlem Shuffle" long take. Not only does the scene pay tribute to Bob and Earl's famous track, but the sets of the film include the lyrics to match, delivered in words, art, or other media alongside and behind Baby. It's technically several Easter Eggs and artistic flourishes, but given how interesting Baby's strut happens to be, audience members might not catch every instance. 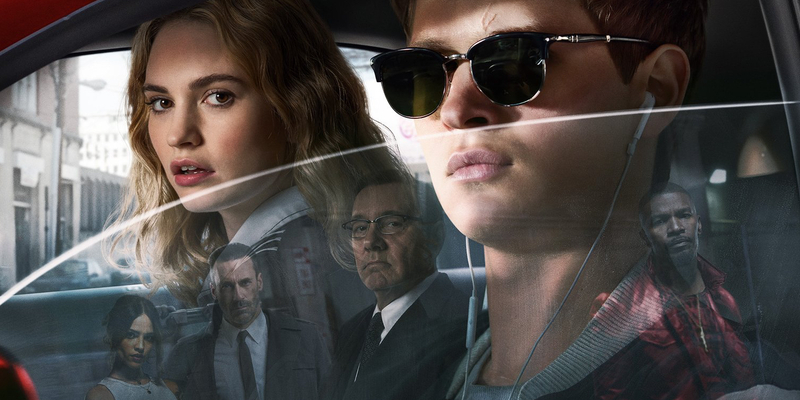 It's no secret that Edgar Wright's original idea for what became Baby Driver goes back years - so far, in fact, that the world already got to see that original idea brought to life in a music video. Well, almost brought to life, since the film proves it was an idea deserving of a feature-length film. Still, those curious to see how much the idea evolved (and how much it stayed the same) can check out the video for Mint Royale's "Blue Song," released back in 2002. The video features - stop us if this sounds familiar - a getaway driver played by comedian Noel Fielding, escorting a number of men to a bank robbery. 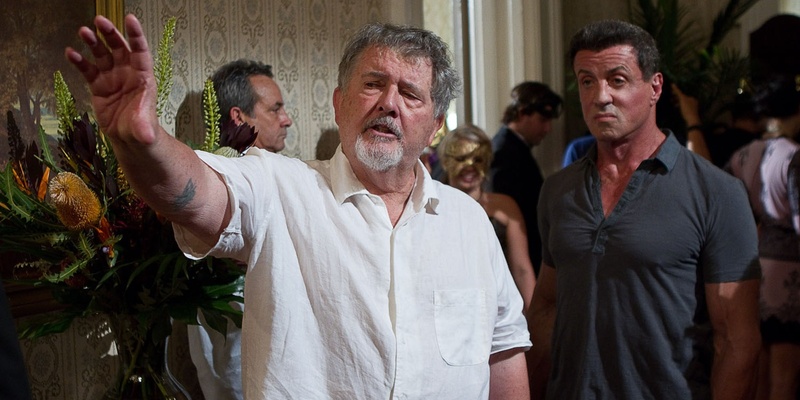 Among those men is actually actor Nick Frost, one half of the Frost/Pegg dynamic duo Wright has turned to for each installment in his Cornetto Trilogy. Once the men head in to execute the heist, the video sticks with Fielding's driver as he enjoys some music. It may only be the seed of an idea, but Wright makes sure to pay tribute - a clip from the video is shown in the stream of notable footage slapped into a channel-surfing sequence early in the film. Edgar Wright has recruited some of the best known and most respected actors in the United Kingdom for past films, and with Baby Driver, the stars come out to shine just the same. But it wasn't the casting of Kevin Spacey or Jamie Foxx that made headlines prior to production... it was the indirect confirmation that Meryl Streep was a part of the cast from Wright himself. 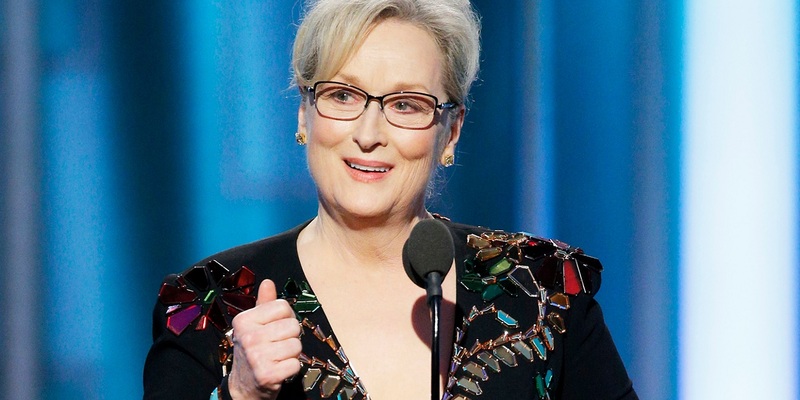 When Streep accepted the Cecil B. deMille Award at the Golden Globes in January 2017, Wright took to Twitter to claim that "Streep is in my new movie. No joke. Uh. You'll see." When he took down the Tweet soon after, it seemed a secret better left unspoiled. When fans see Baby Driver they'll grasp Wright's entire meaning: Meryl Streep doesn't show up as a character in the movie, but in yet another clip slipped into that channel-surfing sequence. Specifically, it's a few seconds from It's Complicated (2009) giving John Krasinski a cameo, as well. If fans are going to be taking note of every clip or scene shown in that channel-surfing montage, they would do well to pay attention to more than just the visuals. Edgar Wright has a habit of giving away plot beats, elements, or even entire breakdowns of the movie about to unfold in the opening scenes of his films (the bar names in The World's End reflecting the action that takes place within their walls, and a drinking plan for Shaun of the Dead spelling out each death to come). In Baby Driver, it's a little less explicit - but just as much fun. In those clips caught between channels are changed, lines of dialogue are dropped that will all be returning later in the movie. This time around the line between the meta joke and an inside joke by the characters themselves is a bit more blurred, but no matter how much the context and characters may change, those words are worth remembering. One such Easter Egg is deserving of a LOT more attention, not only for how pivotal a role it plays in the emotional arc of Baby himself, but for the story of how it came to be included. We're talking about the brief glimpse of Monsters, Inc. seen in the sequence, depicting Mike Wazowski calming down his big, blue friend by reassuring him of their partnership. "You and I are a team. Nothing is more important than our friendship." No surprise, the line comes back later, as Baby uses it to calm the nerves of his own on-screen ally Doc (Kevin Spacey). But the story of how Baby Driver references Monsters, Inc. is even better. Since you don't see many clips of Pixar or Disney films planted in R-Rated films, it should stand out. 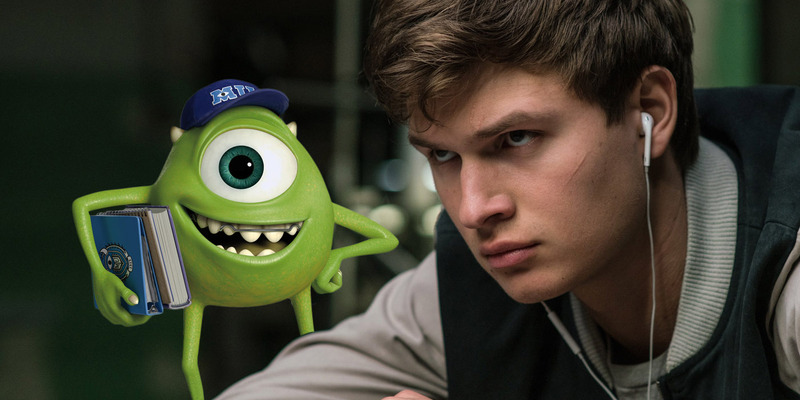 As Edgar Wright has since revealed, the Baby Driver fans owe director Pete Docter - the director of Monsters Inc. heard of the joke that Wright had in mind, and convinced the necessary parties that the inclusion had his own stamp of approval. And the rest is history. It might be fair to say that part of the reason for Baby Driver's fantastic reviews coming as such a surprise is the film's title - evocative of... well, not much, and not trying to inform the audience at large what to expect, either. But for those curious, the title itself actually existed long before the film's hero got his name. 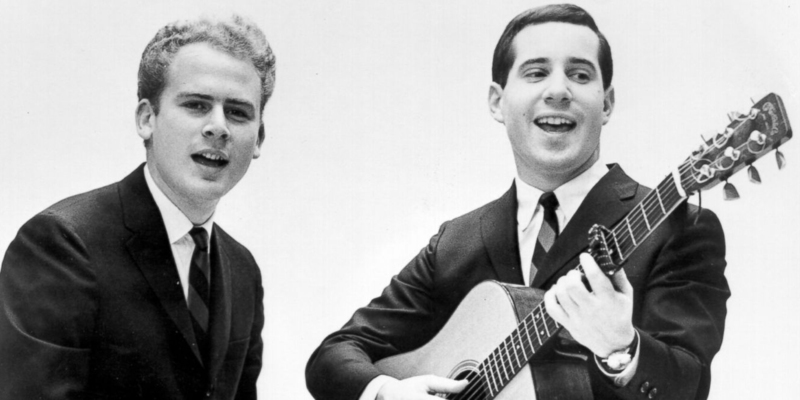 "Baby Driver" first appeared on Bridge over Troubled Water, the fifth and final studio album from Simon & Garfunkel. Yet any assumptions that the song actually acted as an inspiration should be stopped immediately, according to Edgar Wright. 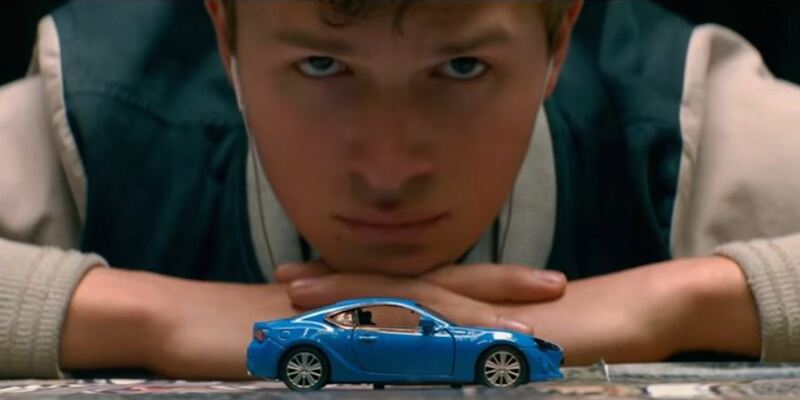 While there is some thematic overlap between the movie and the song - including the lyrics "With music coming in my ears/ In my ears/ They call me Baby Driver/ And once upon a pair of wheels/ I hit the road and I'm gone." - it's an homage, at the most. The actual story of the song is different from the movie, and the tone of the song itself isn't an exact match for the rest of the soundtrack. Still, stick through the film's credits and you'll be treated to Simon and Garfunkel's version all the same. As the list to this point should make clear, the fan community surrounding Edgar Wright's filmography is dedicated AND regularly serviced by the Easter Eggs, repeated imagery and inside jokes along the way. And even if Baby Driver is chronologically the last of his series to be completed, Wright has confirmed that he had the idea for his musically-gifted driver long before Shaun of the Dead or Spaced before it. 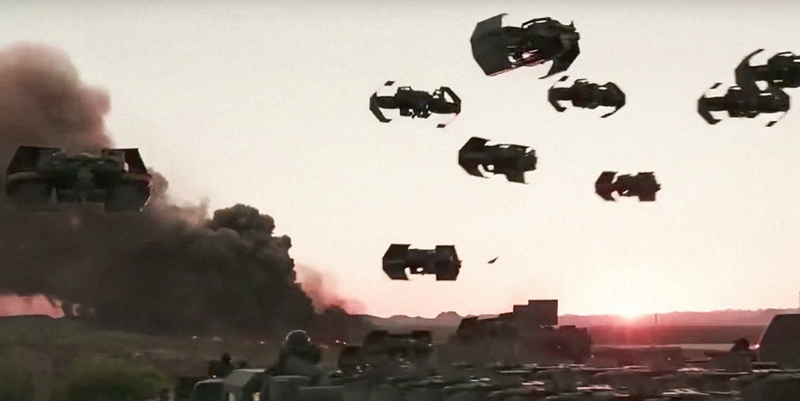 So it's fitting that yet another Easter Egg to his previous works should come in the form of a vehicle. Well, a vehicle's license plate, anyway. Both Wright and fans have reported a license plate in the movie being a references to the release date of a previous Edgar Wright movie, though which one in particular isn't clear. In keeping with the spirit of the early-revealed, but never explicitly called out lines of TV dialogue, the words exchanged by the characters themselves also contain a joke or two. There's Jon Bernthal's 'Griff' stating that is he isn't seen again, then he's dead (before ultimately disappearing). But the real winner comes courtesy of Jon Hamm's 'Buddy.' When he enters the picture, he comes off as a cool customer... but he lets Baby know that "when he sees red" it's as if he becomes an entirely different, more fearsome, and brutal person. The film proves that to be true, with Buddy emerging as a terror seeking the death of our hero. And as a deft callback to his initial warning, shots depicting Buddy behind the wheels of the police car see him bathed in red light from within the car's interior. Perhaps a bit more literal than that early scene suggested, but you have to give Buddy points for honesty. It isn't too often that a movie hero pulled into violent crimes actually ends up getting away with it, but Baby comes pretty darn close. Despite his aiding in the heists and subsequent insanity, Baby is given a sympathetic sentence, taking into account the heroism and efforts to try to do the right thing when he could. He still has to serve some jail time, but in typical Easter Egg fashion, his time on "the inside" is itself a reference to the great car movies that inspired Baby Driver. 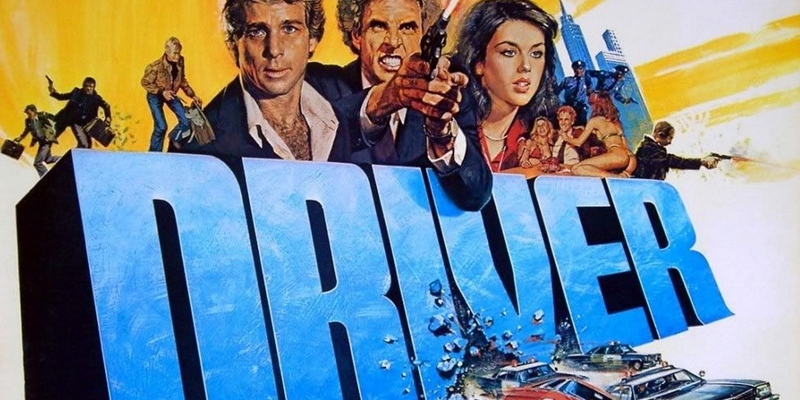 Specifically, Walter Hill's The Driver (1978). The film, starring Ryan O'Neal and written and directed by Hill was more than a little formative in Hollywood, favoring practical chase scenes and adrenaline over story (or even character names). When Baby is incarcerated and released, pay attention to his official prisoner number - it's a shout out to the release date of The Driver, July 28th, 1978. If the love letter to The Driver and its director, Walter Hill given in the form of prisoner designation wasn't good enough, then Wright goes one step further. Hill makes a cameo in those closing scenes, specifically credited as 'Courtroom Interpreter.' Most movie fans may not recognize the director of movies like The Warriors, 48 Hrs., or Red Heat to look at him, but he's on hand to see a driver built in the image of his own walk free. There you are, Baby Driver, Edgar Wright, and Cornetto Trilogy enthusiasts: every reference, Easter Egg, inside joke, and hidden message or cameo that we could find. If you've got some to point out, or secrets we missed altogether, let us know in the comments.